We offer the customers premium quality of Brown Cumin Seeds. Cumin Seeds resemble caraway seeds, yellowish brown in color. 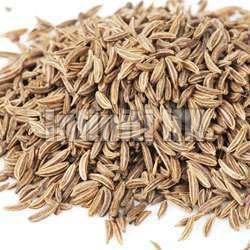 Brown Cumin Seeds are renowned for its various health benefits like increasing digestion problems, controlling heart rate, blood pressure and also an excellent source of dietary fibers. Brown Cumin Seeds offered by us are packed in optimum packaging to preserve their quality.